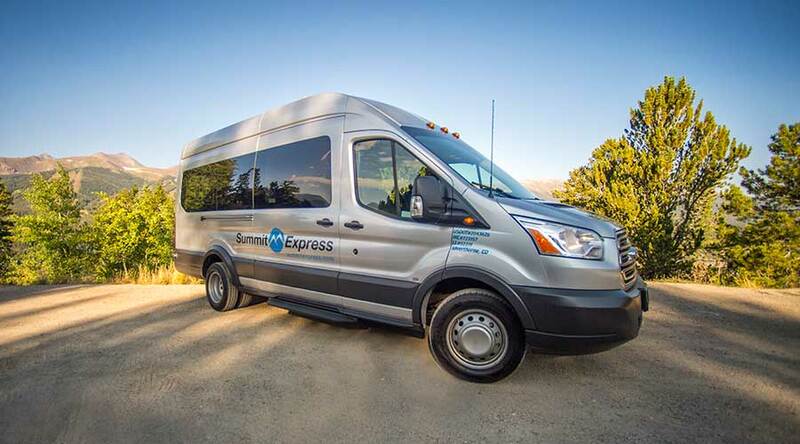 Summit Express will arrange your group transportation to and from the Denver or Eagle County airport, or arrange in town transfers for your upcoming group event in Colorado! We offer a complete start to finish professional experience for your group with customized online group booking portals and a group help desk that is staffed 7 days per week. Summit Express shuttles are always staffed with professional drivers who will provide a professional experience for your group event. Your group will travel with a luxurious touch in our fleet of vans. Or use this form to receive a quote for your group transportation needs.